12 more OCNA Challenge Caches released! We have released 12 more of our site owned locationless type challenge caches, for a total of 42 at this time. You can expect more in the future as well. Several of them are named “Variety Show”, and pertain to hiding some or all of the 14 different types of caches available on our site. 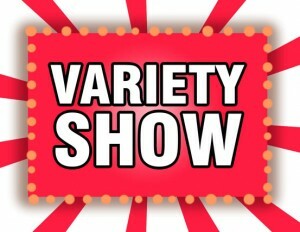 Tentative plans call for about 30 more, and it should be obvious Variety Show challenges that pertain to finding some or all of the the 14 different types will be among them. The 12 newly released caches also include seasonal finding challenges, and FTF challenges. They are all linked to below, along with a short explanation of their requirements. On April 28th, 2015, one week to the day after the most popular Geocaching website in the world imposed a one year moratoriam on new challenge caches, we at OpenCaching North America introduced our own. As the banner above says, they are Locationless, so to speak. If you qualify, you can log it. They are owned by a special Admin account, OCNAChallenges, and are all Unknown (?) type caches. They are presented as Geo Art in the Gulf of Mexico. We released 12 on that day, April 28th, 2015, and released 8 more on May 6th, 2015. And then, nothing. We are a small, all volunteer organization, we got busy! We hosted an After GeoWoodstock event in Maryland. We planned, ran, and handed out prizes for a contest on our site. We had to get our 5th anniversary Pathtags finalized, as well as a free back anyone can use for their own Pathtags. We endured an almost month long Denial of Service attack. Yes, that one really happened, although we never publicized it. 🙂 We could go on, but won’t. 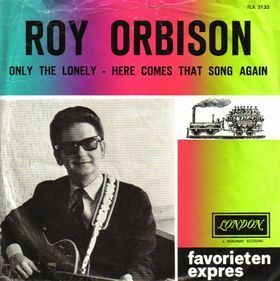 Only the lonely (Know the way I feel) was a smash hit for Roy Orbison in 1960, reaching No. 2 on the Billboard charts. If you’re a little younger than that, a totally different song titled Only the lonely by The Motels peaked at No. 9 on the Billboard chart in 1982. What does this have to do with us, or our challenge caches? Well, on Wednesday, October 21st, 2015, we released 10 more challenge caches (the letter N in The Gulf of Mexico), and they all pertain to lonely caches! Only the lonely, get it? Find caches that haven’t been found on our site in over 1 year, over 2 years, or over 3 years to be eligible to log some of these challenge caches. The 10 caches are listed below, along with a short explanation of the requirements for each. This blog post is a couple days behind, so most have been logged by some of our more observant players who have noticed these new listings. And a heads up, we plan on releasing 12 more challenge caches in the near future. We’re certainly not planning another 5 1/2 month gap between them! 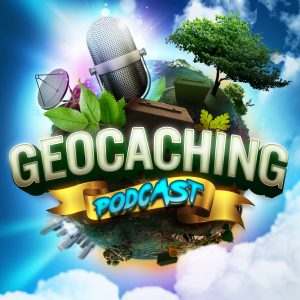 OCNA Admins DudleyGrunt and NativTXN were recently on the GeoGearHeads Podcast episode 178, talking OCNA, in an episode titled OpenCaching NA II. They were last on that podcast on Episode 125. If you count by 10’s on your fingers, you can figure out that was just over a year ago, hence this episode being titled OpenCaching NA II. Anytime our Admins are on a Geoaching Podcast, we run it here on the blog as well. Listen to them give an overview of our site, with an emphasis on our recently released Challenge Caches. GeoGearHeads is a near weekly feature with The Bad Cop and DarrylW4 discussing topics of interest to Geocachers, Location-based Gamers, and Technology Enthusiasts. They record the shows live through Google+ Hangout On Air Thursday nights at 9:10PM Eastern/6:10PM Pacific (The upcoming shows are listed on the Google+ GeoGearHeads page). You can subscribe to the audio version through iTunes, RSS, or Stitcher, watch the shows on YouTube, and check them out on FaceBook, Google+, and Twitter. 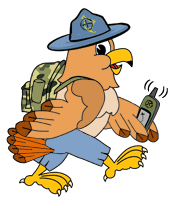 OCNA’s longest tenured Admin, DudleyGrunt, is an official fill in host on The Geocaching Podcast, and fulfilled those duties for the first time on Wednesday, May 6th, 2015 on episode 401. In addition to discussing our site’s new Challenge caches with host HeadHardHat and fellow co-host Taz427, they also discuss two Terracaching.com Cyber caches which support very worthy causes. Those being DG’s own 2015 Walk to Defeat ALS Cyber Cache (which supports defeating ALS, and more specifically, the team Ben’s Buddies in honor of DG’s Father) and St. Baldrick’s 2015 Cyber Cache (which supports childhood Cancer research, and more specifically, Team OConnellz). You can listen to (and watch) the video version of the whole show below. There is the usual pre-show banter, but the actual show starts at the 6:40 mark. More OCNA Challenge Caches released! One week to the day after the most popular Geocaching website in the world imposed a one year moratoriam on new challenge caches, we at OpenCaching North America our introducing our own! As the banner says, they are Locationless, so to speak. If you qualify, you can log it. They are owned by a special Admin account, OCNAChallenges, and are all Unknown (?) type caches. They are presented as Geo Art in the Gulf of Mexico. We plan on having 40+, but we are just releasing the first 12 today, Tuesday, April 28th, 2015.